The resulting study — “Suburbs of the Republic” — found that religious institutions and practices are increasingly displacing those of the state and the French Republic, which has a strong secular tradition. Families from the districts, which are mainly populated by immigrants from north and west Africa and their descendants, regularly attend mosque, fast during Ramadan and boycott school meals that are not “halal”. Kepel performed a similar study 25 years earlier, and told the daily Le Monde that the influence of Islam in the daily lives and cultural references of the suburbs has “diversified and intensified” since then. “A certain number of children don’t come to the canteen any more or, if they come, they only take a starter and dessert,” Xavier Lemoine, the centre-right mayor of Monfermeil, told Europe 1 radio. Islamic values are replacing those of a republic which failed to deliver on its promise of “equality”, and the residents of the suburbs increasingly do not see themselves as French, the researchers said. 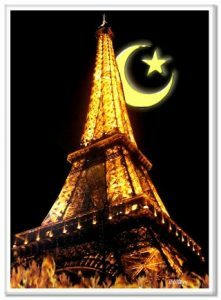 “One of the reasons for the strong role of Islam is that the Republic has withdrawn,” warned Claude Dilain, the Socialist mayor of Clichy. But the report does not support the idea that the state has simply pulled back, to be replaced by Islam. The Clichy-Monfermeil agglomeration has been at the centre of one of France’s biggest urban renewal programmes. Kepel’s study was commissioned by the Institut Montaigne, which will make recommendations in January.